I can’t help but feel sorry for these old ladies. True, if ya look at the house they apparently have some money. Upkeep on that place can’t be small. But so what? I can see their viewpoint. I can also understand where it can lead as explained in this article. 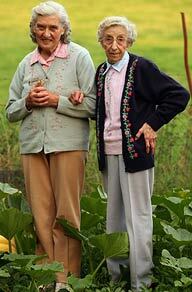 Two elderly sisters who have lived together since birth today lost a last-ditch legal appeal to obtain the same inheritance tax rights as married and gay couples. In a 15-2 vote, the European Court of Human Rights in Strasbourg ruled that Joyce Burden, 90, and her sister, Sybil, 82, do not face unfair discrimination under British inheritance tax rules. The pair argued that they should be spared inheritance tax in the same way as married couples, or homosexuals who form a civil partnership. The sister who lives longest faces having to sell the family home in Marlborough, Wilts, when the other dies in order to meet the cost, estimated at more than £200,000. The sisters claimed British inheritance tax laws breached their human rights by exempting married and gay couples, while targeting cohabiting siblings. But the Grand Chamber of the human rights court upheld an earlier ruling that national governments were entitled to some discretion when deciding taxation arrangements. The decision means that when one sister dies the other will have to sell their four-bedroom property to pay the 40 per cent inheritance tax on its value above £300,000. 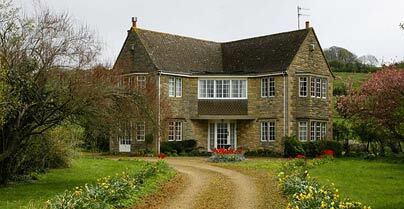 The house is worth about £875,000. If they had won their case, British inheritance tax law would have had to change, to place cohabiting couples on an equal footing with married couples and “civil partnerships” in being exempt from inheritance tax. I’m not a lawyer. I don’t understand why the law would have to change. I don’t understand why in the case of very old ppl like these two, something like extenuating circumstances would not apply. Especially where their entire lives have played out in this one home. But then, hey. I do understand the need of the govnmt. for cash to pay for political perks and salaries and immigration and welfare and .... how long a list do ya want ? The sisters, who have been asking the Government to look at their case for 30 years, decided to write to the European courts after Labour introduced the Civil Partnership Act in 2004. The Act granted the same right to gay and lesbian couples to avoid inheritance tax as married couples, but not to cohabiting family members. The Burdens later hired a lawyer and claimed the Act violated Human Rights Convention articles outlawing discrimination and guaranteeing the “protection of property”. In 2006 they lost the case by a 4-3 majority of the panel of seven human rights judges, although three members of the court described their inheritance tax plight as “awful” and “particularly striking”. But the appeal hearing, before a larger 17-member panel of human rights judges, produced a more decisive 15-2 majority against the sisters today. The sisters cannot take their case further. They could not immediately be contacted today.